Why Engage a Legal Nurse Consultant (LNC)? 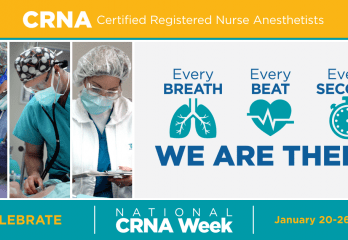 Numerous studies have concluded that CRNAs consistently deliver safe, high-quality, cost-effective anesthesia care in today’s ever-changing healthcare environment. Nurses first provided anesthesia on the battlefields of the American Civil War. During WWI, nurse anesthetists became the predominant providers of anesthesia care to wounded soldiers on the front lines; today, CRNAs continue to be the primary providers of anesthesia care to U.S. military personnel on front lines, navy ships, and aircraft evacuation teams around the globe. Statistics show that anesthesia today is safer and more effective than ever before. New technologies and anesthetic drugs, extensive specialty training, and high professional CRNA standards have made the administration of anesthesia one of the safest aspects of a surgical or obstetrical procedure.